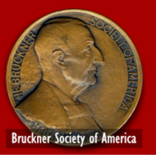 Recently, the Bruckner Society came across a picture involving the presentation of a Bruckner Medal of Honor that the Society's Board of Directors was hard pressed to identify. The picture (located in the New York Philharmonic Archives) clearly shows that the Bruckner Medal is being presented, but except for conductor William Steinberg, and Philharmonic Society President, Amyas Ames (credited in the photo text), we could not determine the identity of the gentleman on the left. Thanks to the research of Gabryel Smith, Assistant Archivist at the New York Philharmonic, we were able to pin down the details. The man on the left is Herman Neumann. 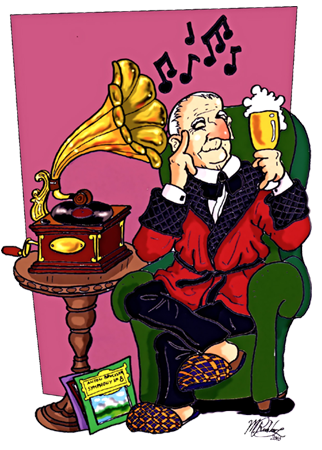 He was a member of the Executive Committee of the Bruckner Society of America and the recipient of the Society's Mahler Medal in 1959 for his work as Program Director of Radio Station WNYC - the municipally owned radio station. Mr. Neumann was on hand to present the Bruckner Medal to the New York Philharmonic for their programming of the 1964-1965 Bruckner Series. 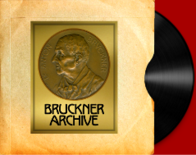 The presentation to the New York Philharmonic took place in May of 1965 when William Steinberg was on hand to conclude the series with a performance of the Bruckner Symphony No. 5. The Orchestra's letter of acceptance to the Society can be seen below.